Several fearless forecasts say that television sets will be superseded by computers in the future. Surprised? Don’t be. Maybe we’re actually nearing that stage, as market leaders of technology now have introduced Smart TV to our lives. As of late, traditional heavy and bulky televisions are out of sight in our homes. They are being replaced with LCD TV, LED TV, and even Smart TV. Smart TVs are loaded with innovation including integrated Internet and Web 2.0 features that are sure to wow and entertain you to the max. 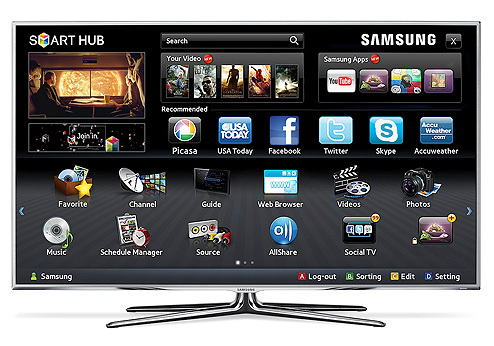 Popular manufacturers and brands of TV that have released their own smart TVs are Sony, Samsung, Lenovo LG and Google. In this article, we will tackle on the top three features to consider when looking into a Smart TV. Smart TVs are packaged with applications that differ from one model and brand to another. Most common examples are Facebook, Twitter, Tumblr, and Skype. This means that you can log on to your accounts in these social networking sites, view updates of your friends and also update your own. With some TV brands, you can ask the service providers if there are available options that can be extended. If you’re not living somewhere outside this planet, you should know about the Internet and the amazing network connection known as the Wi-Fi. With wireless fidelity, you are free from cables and just transmit packets of Internet data through thin air. We have been using Wi-Fi in our laptops, netbooks, smartphones, and now—Smart TVs. With Wi-Fi on, you can stream and download media (oftentimes movies) from the cloud using your Smart TV. You don’t need to copy the movie file to a disk! You can set the expectation that every Smart TV comes with general video-streaming services such as Hulu Plus, Netflix, and YouTube. On the other hand, without the Internet, you can still view your pictures and watch videos from your phone or personal computer by transferring them and connecting a USB stick to the television. In essence, you are no longer restricted to watching regular TV shows and the number of channels you are subscribed to. Imagine you’re watching a TV show and you want to research and know more about the actors who played in it. You no longer have to turn on your laptop or change device. Using a slick Smart TV remote control, you can just flick over the Smart TV’s search engine and enter the names. Content is fast delivered to you and you can easily catch up on other information with interactive gadget. Some even allow you to bookmark your favorite sites in the Internet browser. In addition, Smart TV has in-built functions such as entertainment news, weather forecasts and online radio. It also offers a store for apps, just like in smartphones, where you can purchase free and paid third-party interactive applications that suit your satisfaction. A Smart TV is a lot like a computer. The only lacking important features it does not have are e-mail and word processing. But possibilities in technology are limitless! Though we’re still somewhat in the incipient stages of Smart TV, you can already get your own and discover how powerful it is. There’s a plethora of brands to choose from. While features of Smart TVs vary, these three suggested above are the most fundamental. So take them with you and more guided you on your next shopping escapade for your very own Smart TV. Aubrey Samson is a a freelance programmer, an annual mountaineer and a former mathematics tutor. During her free time, she spends time watching missed tv series on her 3D tv, listening to music and composing songs as well.